These are xj bases that have not been converted yet. I will remove the front plastic "tilt" handles to ship since they could easily be broken if left on. 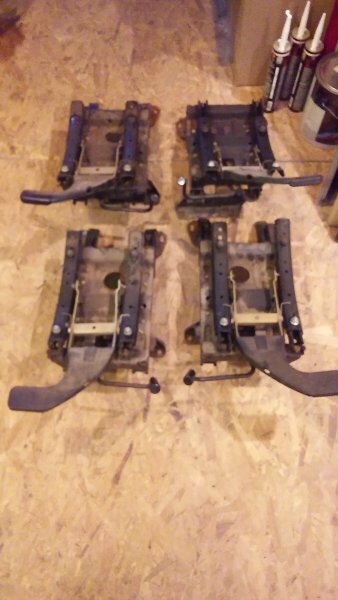 The x. floor brackets themselves are good if you want them for an xj. They will need new mj mounting brackets fabd up for an mj though. These were found on 2dr xjs up until early 90's. 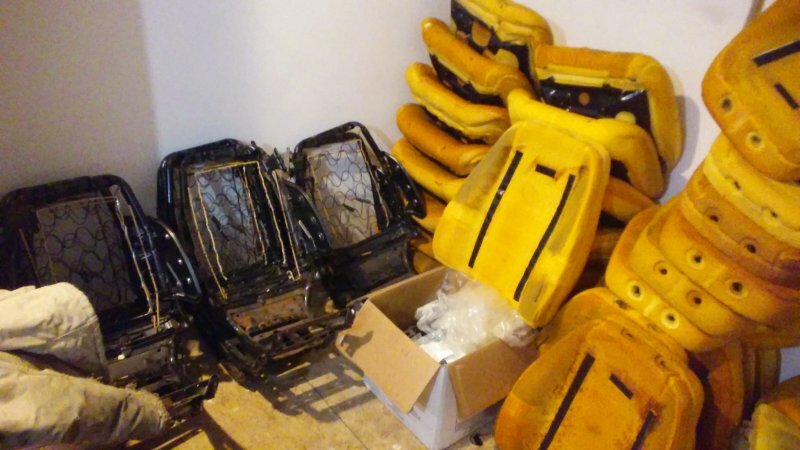 Mj or xj bucket seats of any type will mount to these. I'm asking $100 a set plus shipping on your dime. I must have 12 sets of these now. So how about $90 a set shipped anywhere to the lower 48. 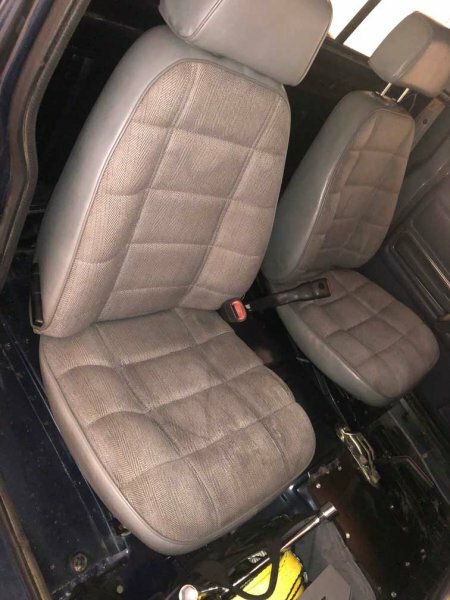 Do you happen to have the internal tilt assembly from 2 door xj seats or manche seats? Yes I do if you mean the seat stripped down to the foldable frame.